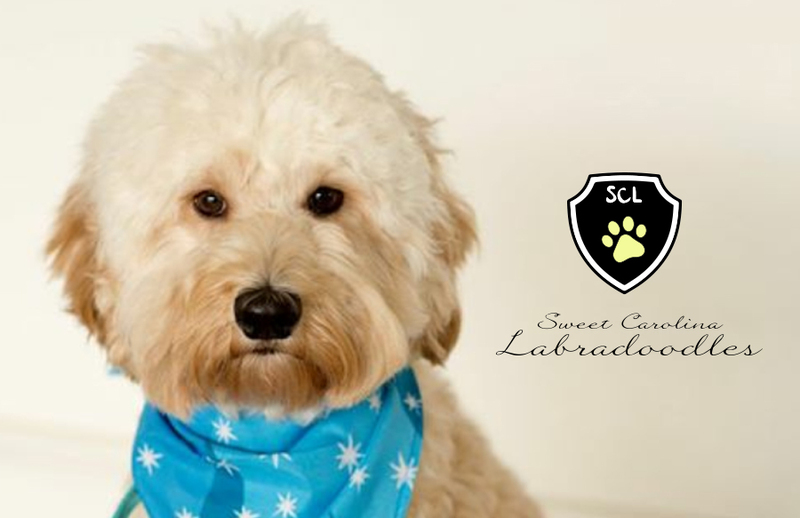 It is important to note that the Australian Labradoodle is different from other labradoodle mixes/breeds. 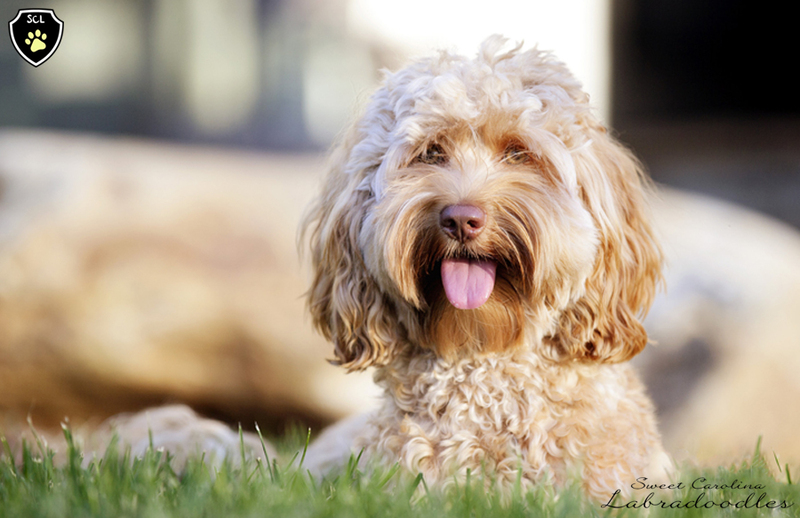 The Australian Labradoodle was developed in the 1980’s from the efforts of Wally Conran. Conran mixed Labrador Retrievers with Poodles. 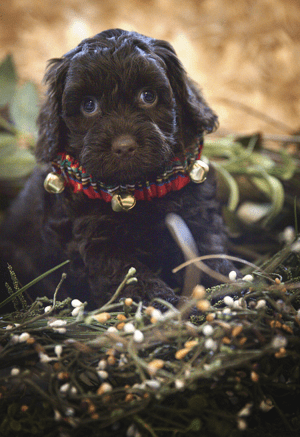 The current bloodlines were perfected by the owners of Tegan Park and Rutland Manor based in Australia who infused Irish Water Spaniel and the American and English Cocker Spaniels. 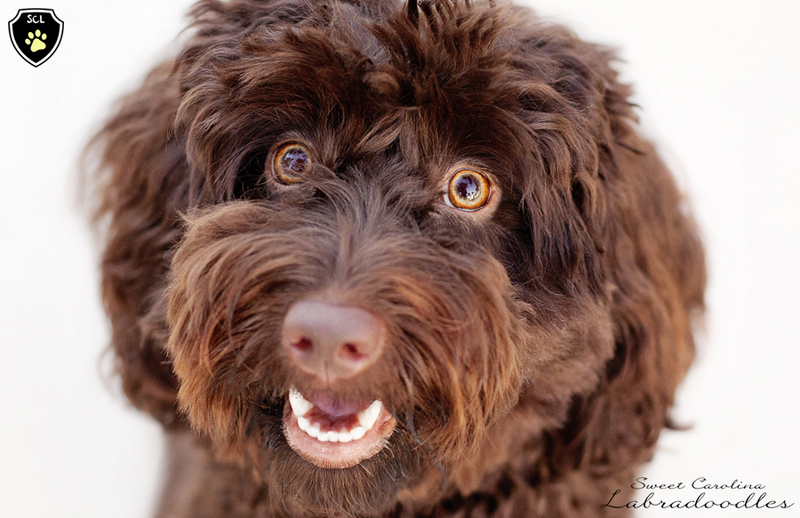 Since then, these Labradoodles have been bred to each other and never go back to the dogs of origin. These intelligent dogs make excellent service dogs and are great with families overall as they are non-shedding and allergy friendly. Our “queen bee.” She keeps an eye on all of the comings and goings of the house, including her sister, Matilda. One of Daphne special talents is how high she can jump! This is lots of fun. She is also full of mischief, often getting her very smart self into funny predicaments to satisfy her curiosity. Daphne’s dark coat is simply gorgeous with a beautiful and consistent texture. She weighs 20 pounds and stands 16 1/2 inches high at her shoulders. She is the favorite of my 7 year old son, Samuel. For more information about Daphne – Visit the Swinging Gate Daphne Blog. 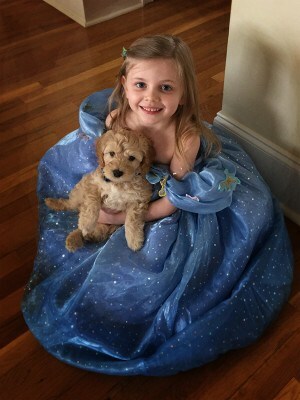 Our princess. She has an innocent and playful spirit. 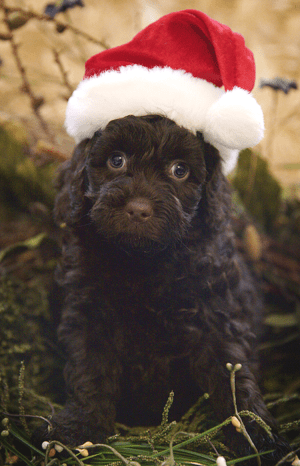 Matilda wants nothing more than to please, and when allowed she is very fast, often running circles around her sister. Our favorite activity with our princess is carrying her around like a doll. She loves it. With her dark apricot coat, she receives quite a bit of attention when out and about.Matilda weighs 16 pounds and stands 15 inches high at her shoulders. She is the favorite of my 5 year old son, Shepherd, who thinks she is the most beautiful girl in the world. For more information about Matilda – Visit the Swinging Gate Matilda Blog. 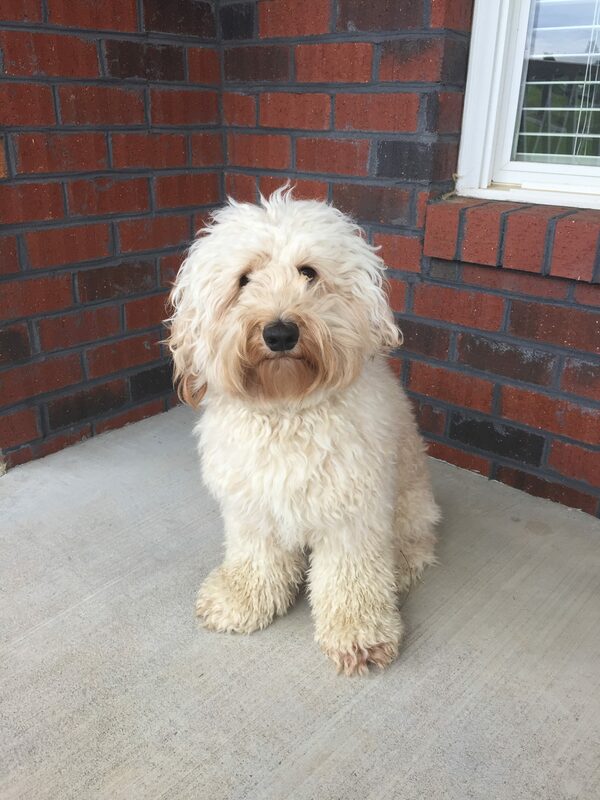 Our Charlie has a curly cream/apricot coat and weighs 22.5 pounds. He has one of the sweetest dispositions I’ve seen in a dog and does not meet a stranger. Recently, several nurses wanted to take him home at his well-check visit. Both of my boys, as well as his favorite gal, six-year-old Macy, love playing with Charlie. He loves to chase and fetch, and he jumps as if he has springs! Yet even with all of that energy, Charlie is never aggressive, and in fact, listens and obeys.He loves to please. Charlie easily charms his way into being the center of attention. For more information about Charlie – Visit the Swinging Gate Charlie Blog.